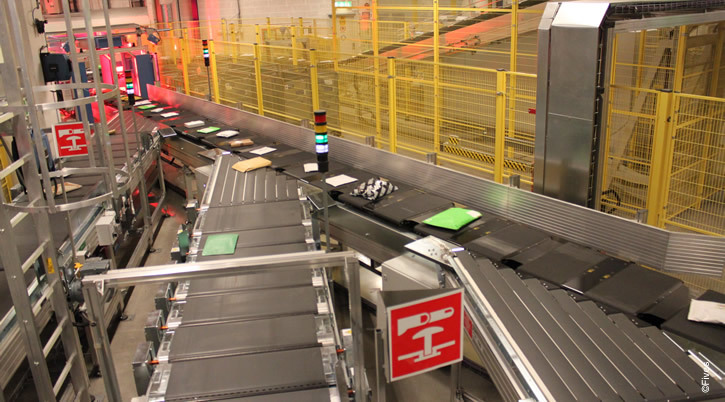 Fives induction line consists in a sequence of several conveyor belts that load a flow of items onto the cross belt sorter, irrespective of size, weight and shape, and with complete precision. 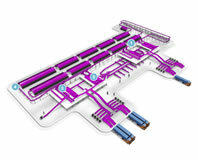 Products can come directly from an upstream conveying system or they can be loaded on the induction line manually. 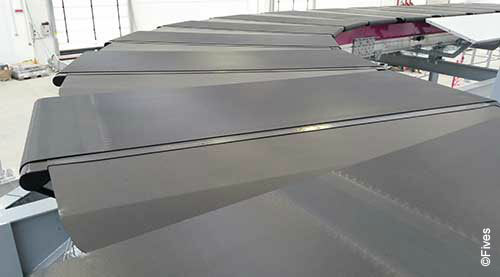 The key feature of Fives’ induction lines is dynamic synchronization without flow interruption, which allows for more available sorter cells compared to other types of synchronization, thereby increasing and optimizing the sorter’s operative capacity. 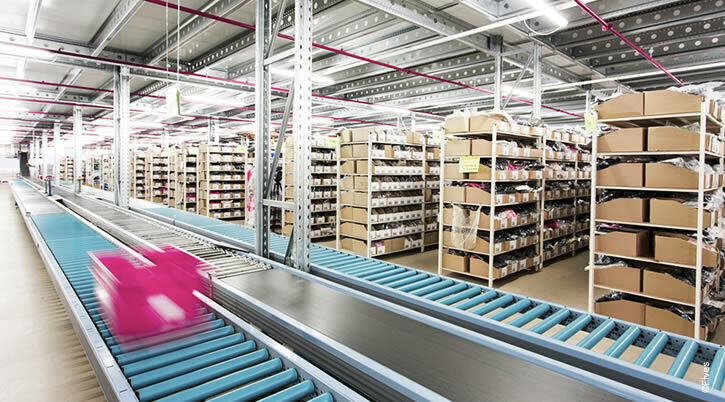 In the process, sorting operations improve and reliability is guaranteed; the dynamic synchronization of the items with the sorter cells reduces the maximum acceleration ensuring gentle handling and preventing slippage or roll. Fives’ induction lines load items exactly in the middle of the sorter cell with almost zero relative speed, maintaining proper orientation.